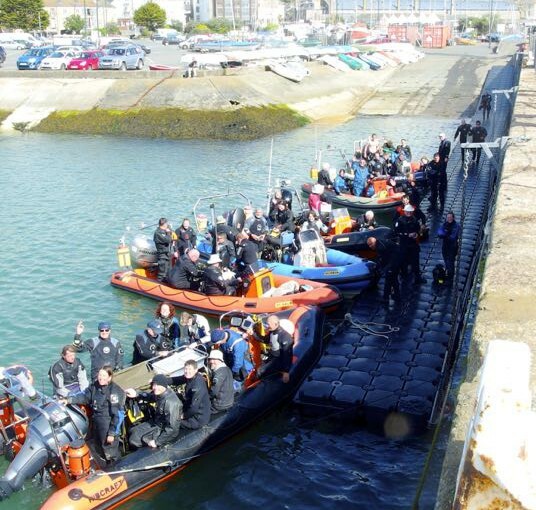 Kernow Dive Festivals – What’s it like? We are an association of BSAC dive clubs, mostly in Cornwall (but some in Devon) who meet several times a year to share ideas, training opportunites and to socialise. We have an annual dive festival and you are welcome to join us. The 2019 plan is to dive some of the WW2 D-Day related sites including the Mulberry Dock and HMS Warspite who’s guns were the first to fire on D-Day. Of course there will be the usual favourites and a great party! Join us for the usual weekend festival or come a day early and dive on the Friday when we will do the extra D-Day dives! Regularly organise joint diving & training weekends. Tell everyone about the delights of diving in the far South West of the UK, by the divers who live here.